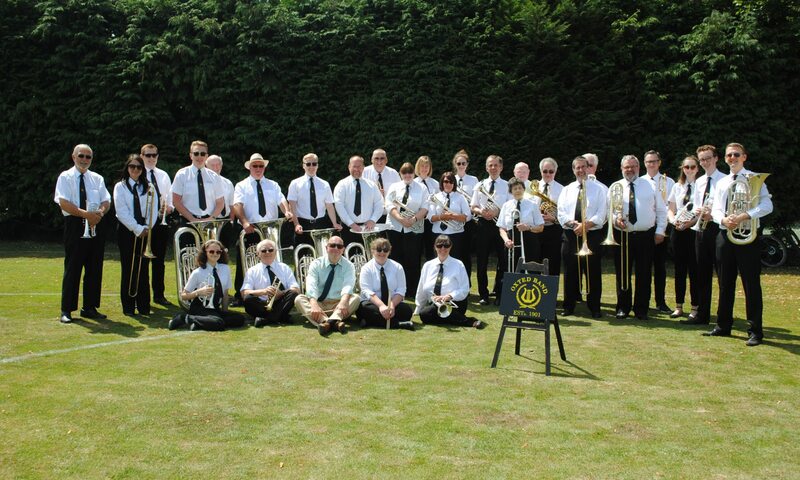 Based in Oxted Surrey, the Oxted Band is an amateur Brass Band that perform throughout the south east of England. Please browse our website by scrolling down the page or hitting the links at the top to find out more about us. If you would like to hear the band, you can find out where we will be playing on our Engagements page. Oxted Band is an amateur Brass Band, based in the Surrey town of Oxted, where we have been since 1901. The band is made up of a friendly group of amateur musicians who come from all walks of life, but are drawn together by the common interest of playing music, both for enjoyment and to improve ourselves and to entertain those who listen to us. Oxted Band has around 30 playing members at the present time from a wide range of backgrounds, and ranging in age from school students to those enjoying their retirement. Some members have joined us in the last few months, others have been with the band since the days of black and white photos! The band meets weekly throughout the year to rehearse a variety of music which we perform at a range of events including our own concerts, local events such as fetes and parties; and community events around Christmas and Remembrance Sunday. We also take part in Band Contests which are a great challenge for the band to improve our playing as a group. Find out about the individual members on our Personnel page. The Oxted Band plays at a variety of events and we are available to hire for your concert, fete, party, or indeed pretty much any event which will enjoy a brass band! If you would like to book the band for an event, please contact us – ideally by email engagements@oxtedband.co.uk or phone our chairman Ben on 07971 402608. The Oxted Band practice at 8:00 every Tuesday night at our bandroom in Mill Lane, Hurst Green. Visitors to rehearsals are always welcome, but please contact us in advance to ensure we don’t have a rare night off!